The 1202-VLZ3 features twelve balanced line inputs, four high quality XDR2 mic preamps, four insert points (mono channels 1-4) and ALT 3-4 outputs, which give users alternatives from routing signal to the stereo “Main Out”. Using the “ALT 3-4” and “Main” outputs simultaneously provides four-bus style routing to multitrack recorders, monitors, etc. Perhaps the most impressive feature is in the mic preamps. Premium studio-grade, Extended Dynamic Range (XDR2) mic preamps provide an incredible 130dB dynamic range and 0 to 60dB gain range providing pristine audio and low noise floor. XDR2 mic preamps are optimized for 24-bit, 192kHz sample rate recording. 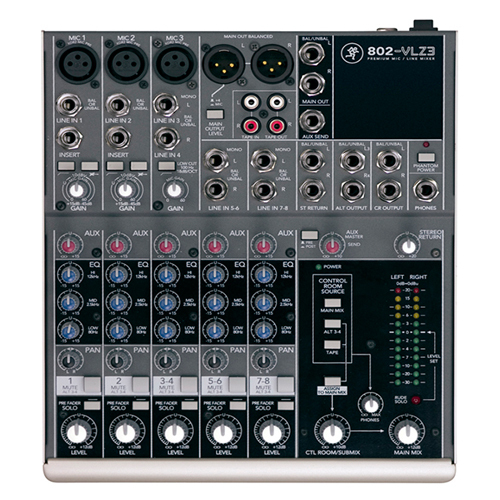 The Mackie 1202VLZ3 is a professional compact mixer, with features that outweigh its small footprint. 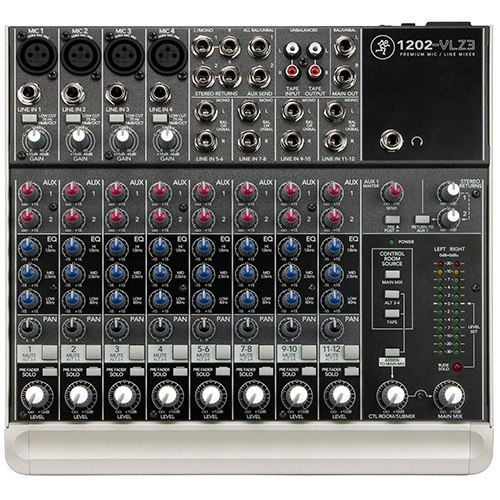 The ideal compact mixer for all sound applications, the 1202VLZ3 is equally on the road, on the stage, or in a recording studio. At Mackie, they can never leave “well enough” alone. 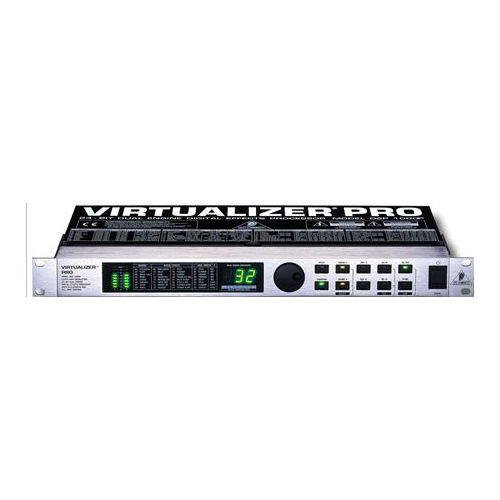 After all, the VLZ Pros are the best-mixers of all time, so we knew it would be tough to improve on what many devoted owners already consider perfection… and yet they were driven to do it anyway. 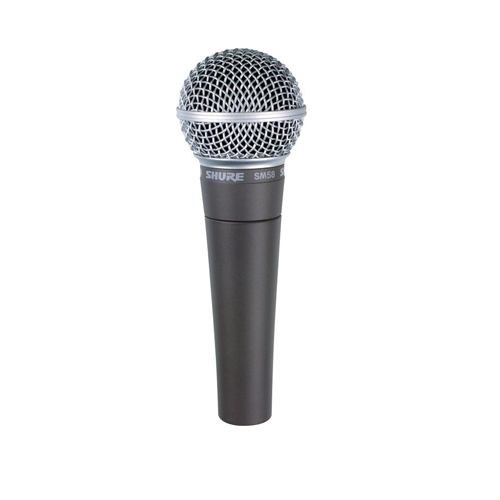 While it keeps all the features and functionality of its predecessor, the Mackie 1202VLZ3 offers even greater headroom versus the original. They could have stopped right then and there, but they’re obsessed with perfection. So they redesigned the Mix Bus, tweaked the EQs, and created a mixer with a highly intuitive, musical feel.